On a sunny Sunday afternoon marked by perfect September weather, a gathering of nine women and one man wasn’t focused on talk about nature, recreation, hobbies or other aspects of enjoying life. This group instead met for two hours in a downtown Greensburg office building to discuss the dying process and how to make it better. The attendees at a free community training session about serving as end-of-life “doulas” heard Promise Hospice President Elizabeth Aungier, who hosted the session, talk about the goal of “a better death” for both terminally ill patients and their families. The former nursing home administrator has run her Greensburg hospice since 2010, but in navigating her own father’s death in 2015 she needed to lean on a friend for help. 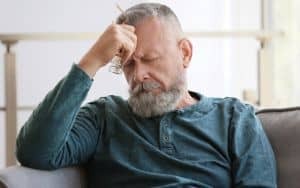 She realized an additional layer supplementing a hospice team would be useful for families during a daunting, emotional process that is new to many of them. Aungier became intrigued by what she heard of end-of-life doulas and went through training last year in New York City from Doulagivers Inc. 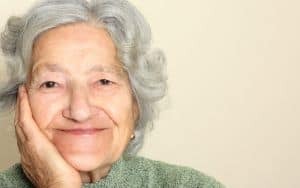 There she learned communications and technical skills related to helping people with their dying wishes and the closure they sought in relationships with others, as well as more procedural issues such as advance directive preparations and the type of funeral or memorial services they wanted. Doulas are taught to sit, talk with and – especially – listen to terminally ill people in a non-judgmental way. If it goes right, they learn about their lives, build a rapport and help them face whatever fears they may have about the future. 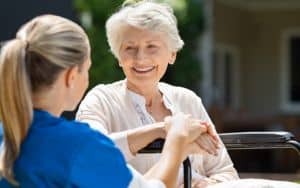 They can do so without the baggage of family members or the requirements of hospice staff who may be on a busy schedule to provide personal care and pain relief before moving on to the next client. “The doula may spend extensive time helping an individual do a life review or legacy project or tangible account of history we can give to people they leave behind,” Aungier added, while emphasizing they are to leave medical issues to professionals such as a hospice nurse. Doulas are more commonly associated with births; while employed in only a small minority of those, they are nonetheless accepted as providing non-medical emotional and educational support for new mothers. In either case – for births or deaths – doulas generally lack government certification or regulation and are paid by private resources rather than Medicare, Medicaid or other insurance. Aungier sought to supplement her hospice business by starting PromiseCare Doulas in June, advertising $50 hourly services to support dying individuals through their final stages, but it has been slow to find clients. Aungier is undeterred, believing it’s an important and helpful concept. She has had most of her hospice staff trained in it to help them in their regular duties as aides, nurses and social workers. “We’ve learned how to be more one-on-one now with patients in the dying process, understanding better how to walk them through that,” said Ginny Cabala-Carper, 28, a hospice aide for five years who was among staff in the spring going through weekend-long doula training sessions Aungier arranged for them. “People don’t really seem to get it yet,” Aungier said, having heard more commonly from people interested in getting help with bereavement after a death. Arleen Hawk of Greensburg, a retired hospice social worker who was among the group recently trained, said it sounded to her like doulas could do more for families than the more limited aspects of what she did in her role while working. “They can take it to the next step and help families feel they’re not missing anything,” she said. Nisha Bowman, an intensive care unit social worker at UPMC Presbyterian with a pronounced interest in death and dying issues, attended to learn more about the doula concept as someone who may focus her career on end-of-life issues in the future. To learn more visit PromisecareDoulas.com or DoulaGivers.com.